After news broke of an anticipated Japanese report telling that the Toyota 86 and Subaru BRZ twins were not long for this world, both carmakers have denied the cars’ successors have been canceled. Carscoops reports that both Toyota and Subaru have stated they are developing next-generation cars. As a Subaru USA spokesman told Carscoops: “We do not endorse this report coming from Japan’s Best Car. 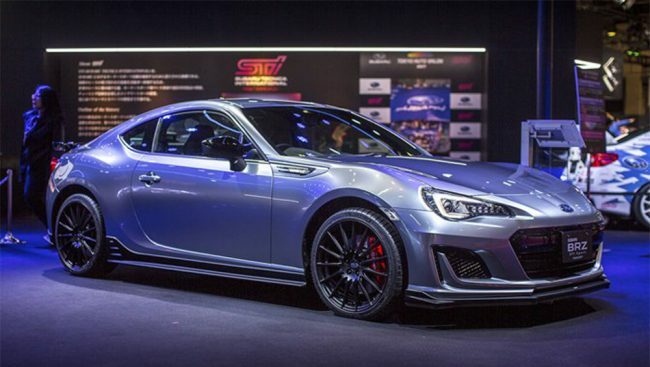 … We are moving ahead with a next-generation Subaru BRZ, but have no further details at this time.” The website also reported a similar statement from Toyota. With the models getting long in the tooth and no test mules having been spied, doubts are not unwarranted — remember just how long Toyota teased the fifth generation Supra before its 2019 debut. More information is not yet available, or whether the two brands will still collaborate to bring the new-generation coupes to the market, but for Toyobaru fans this might be grounds to breathe a sigh of relief. That would also mean, that if the hinted MR-2 revival is based on solid ground, there will be a full “Three Brothers” Toyota sports car portfolio for sale in the next decade. With the Supra offered also as a four-cylinder in Japan, it will be interesting to see if Toyota will retain the 86’s current, slight power advantage over the Supra’s 197-horsepower variant or respect the status of the bigger brother.